Get your official BCA rules and records book in hardbound form in this collector's 50th anniversary edition! 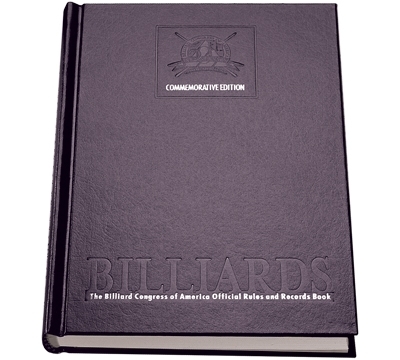 Published by the Billiard Congress of America, each book is individually numbered and sure to be a collector's item. The book includes rules, regulations and 29 different games as well as the history of the BCA and the game of billiards. 240 pages. Packaged in custom gift box with BCA 50th anniversary insignia printed on the box front.